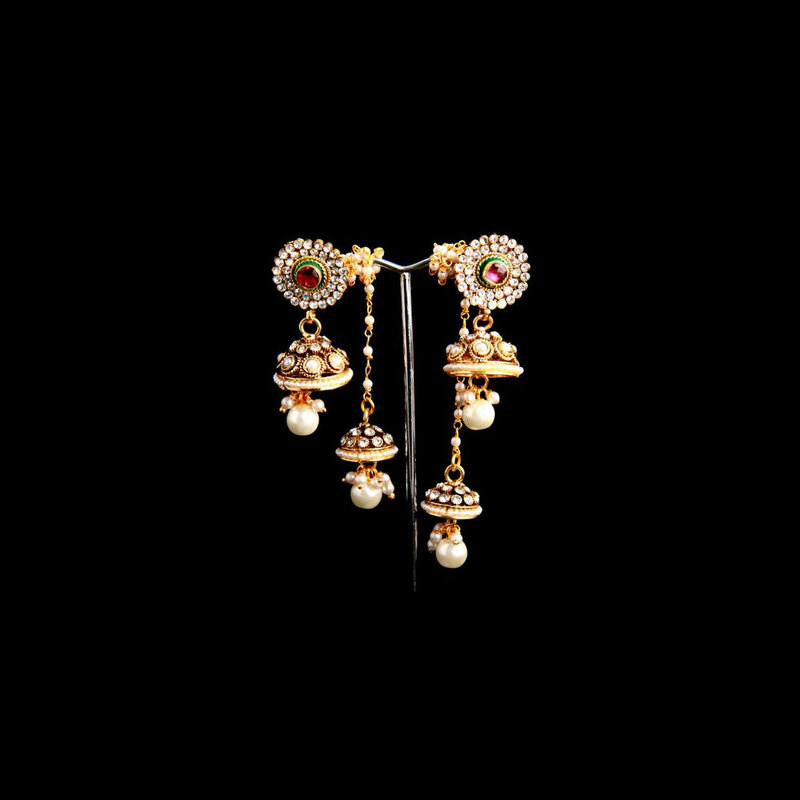 The double hanging look of the earrings comes from the extended string of pearls that force down behind the earlobes for supporting the burden of serious earrings with pearl teardrops hanging from each ends. 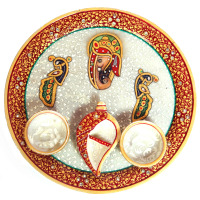 This beautiful pair of designer earrings attracts onlookers with its magnificent design and mesmerizing appeal. The double hanging look of the earrings comes from the Read More..extended string of pearls that pulled down behind the earlobes for supporting the weight of heavy earrings with pearl teardrops dangling from both ends. Show Less..